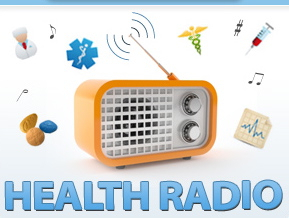 Dr. Justin Piasecki a board certified plastic surgeon and founder of Harbor Plastic Surgery Center in Gig Harbor, Washington joins eHealth Radio and the Plastic Surgery & Skin Health & Cancer Prevention Information Channels. Not only is October Cancer awareness month but also is designated as National Anti-Bullying Month, tell me what Anti-Bullying Month means. What made you decide to partner (as an ambassador) with Angels & Doves? Your skincare line – Piasecki MD is very involved in giving back - tell us how. Tell me about your new skincare line. What are the top skin cancer tips for people throughout the year? Dr. Justin Piasecki is a world-renowned surgeon specializing in skin cancer removal and plastic surgery. Always at the forefront of innovation, Dr. Piasecki pioneered the most advanced skin cancer treatment by combining the leading skin cancer removal technique (Mohs surgery) with cosmetic reconstructive surgery. He is the only doctor in the world to hold such certifications. Dr. Piasecki’s proprietary skin care formulations are the product of his unique knowledge, expertise and creativity. Developed by the doctor personally, Piasecki MD products carry with them his distinctive mastery as a physician and surgeon, coupled with his extensive training in biology, organic chemistry and physiology at Stanford University and Vanderbilt Medical School. Piasecki MD formulations aim to help prevent skin cancer development while creating a radiant and youthful appearance. An avid athlete and outdoorsman, Dr. Piasecki believes that looking good starts with feeling good and doing the best you can by your body and health. At Stanford University, Dr. Piasecki competed nationally on the swim team enduring rigorous training sessions designed for elite athletes. After graduation, he joined the US National Sprint Kayaking Team where he reached #4 in the world, winning gold medals at the Pan American Games, World Cup and the US National Championships. Today, he maintains his competitive spirit and healthy lifestyle by running to work, lifting weights, kayaking and spending time with his family outdoors in his hometown of Gig Harbor, Washington. Dr. Piasecki has been featured on national television shows, Dr. Oz, The Doctors and Hallmark’s Home and Family, as well as in numerous print and on-line publications including USA Today and Oprah.com. 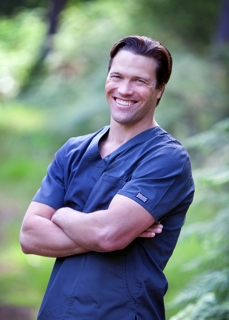 He was voted one of “The Most Beautiful Doctors in America 2013”. Sgt. Thomas Rich, "the cyberbullying expert" has been traveling the country making a difference one school at a time & joins eHealth Radio. Sgt. Rich is the "original" creator/founder of a program called "Generation Text". After having huge success since 2008 with this program, he decided to create "Always Connected" in 2011 and take it to a whole new level. How did you first come up with idea of Always Connected? What age groups do you address when you present these motivational speeches? What is your message to the audiences that you speak to as you travel the country? What has been your most memorable moment in this journey of yours, so far? How can parents talk to their children about being more responsible with their online behavior and their everyday use of technology. Detective Sgt Thomas Rich, is currently a certified police officer in the State of New Jersey entering his 15th year of service. Sgt Rich is the "original" creator/founder of a program called "Generation Text". After having huge success since 2008 with this program, he decided to create "Always Connected" in 2011 and take it to a whole new level. The purpose of "Always Connected" is to inform law enforcement, educators, administration, youth workers, youth groups, parents and children of all ages how to utilize technology in a positive way. 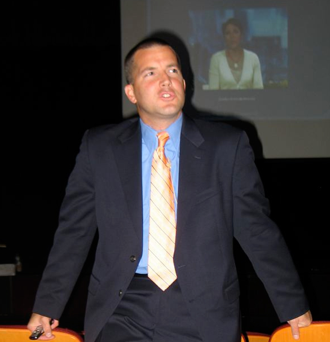 Having dealt with children and investigations for the past ten years, Sgt Rich realized the huge impact that technology was having on children, especially in regards to cyberbullying, Sgt Rich decided to focus his efforts on educating audiences about current trends, real life problems and solutions for schools, parents and children. Most importantly help to address the problems that children face using technology and how these pitfalls lead to cyberbullying. Sgt Rich has been a DARE instructor for the past 10 years and has been involved with the children in his town for the past 12 years. Having spent his entire career dedicated to children, has helped make this program exceptional at every turn. He brings the real world experience of what kids are going through on a daily basis and most importantly SOLUTIONS..... Solutions to the hard questions that children face everyday. Sgt Rich has been servicing the Tri-State area since 2008 covering these very important topics. The assemblies cover the ages from 3rd grade up through high school. He also has been featured as a guest speaker at the 2008 and 2009 DARE New Jersey Conference in Atlantic City, NJ and the 2008 and 2009 New Jersey Juvenile Officer's Association Convention in Atlantic City NJ. Jennie Withers, author of Hey, Back Off! Tips for Stopping Teen Harassment from New Horizon Press Books and 16 year veteran of secondary education joins eHeath Radio. How has harassment changed over time? Why is it much more insidious and dangerous today? What makes Hey, Back Off! different from other bullying books? Can you briefly explain the personality types you cover in Hey, Back Off! and their relationships to harassment? How may parents know their teens are being harassed if teens aren’t talking? What are some good strategies parents can use to help their teens deal with harassment? Jennie Withers is a graduate of Boise State University, Boise, Idaho. She is a sixteen year veteran of secondary education. Jennie is the author of Hey, Back Off! 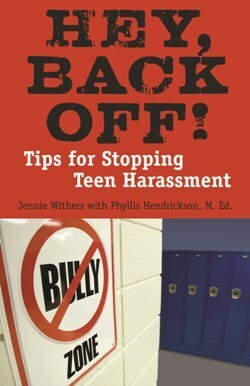 Tips for Stopping Teen Harassment (New Horizon Press Books) and Hey, Get a Job! A Teen Guide for Getting and Keeping a Job. She has also published or contributed to articles in The Ultimate Teacher from HCI Publishing, StopBullies.com, Boy's Life magazine, St. Anthony Messenger magazine, Family Circle magazine as well as other national and local publications. 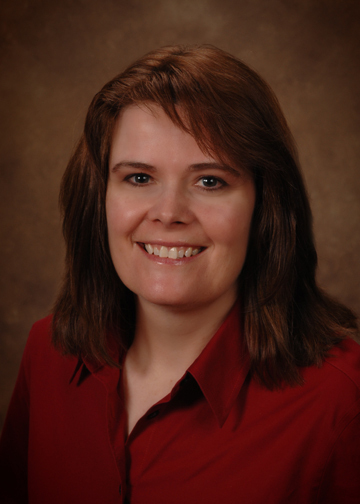 Jennie lives in Meridian, Idaho, with her husband and two daughters. 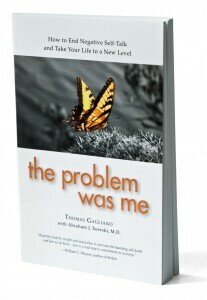 Thomas Gagliano, the author of the book The Problem Was Me joins eHealth Radio. 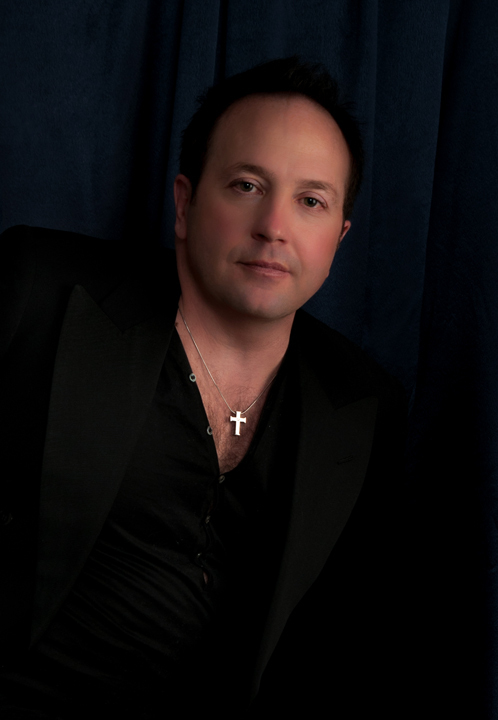 Thomas is a life coach who is also involved with parenting groups, individual therapy and marriage counseling. How does a successful business man decide to write a self-help book? In your book, you talk about a warden? Who is this warden? How is your book different from other self-help books? You discussed three essential elements that a person needs to change their destructive messages. Can you briefly discuss them? Tom Gagliano was born in Brooklyn in 1958. He spent 27 years as a successful business man. In the last 10 years he spent less time in the world of business and more time helping others who suffered like he did from negative childhood messages. In 2011 he published his first book, "The Problem Was Me", and in that same year he graduated with a Masters in social Work from Rutgers University. Dr. Wren, a former public school teacher, current college professor, published author, and educational researcher joins the show. 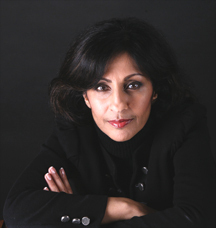 She brings to us 20 years of knowledge and insight into the world of education and our topic today which is bullying. From a school teacher's perspective, why do you think bullying is not effectively handled in the schools? If a student is being bullied, what can that student or parent do to bring attention to the situation? As an educational researcher, you analyzed the U. S. Department of Education's report on state anti-bullying laws and policies. What did you determine from that report? Would you say that with more higher level attention being brought to bullying that one day bullying can be eradicated in the schools? If I see a form of bullying in the street, or anywhere in any form what would you reccomend that I do that is wisest? 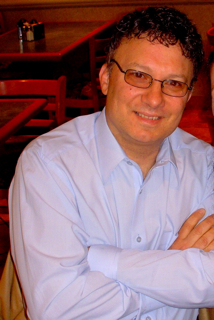 Dr. Wren is a former public school teacher, current college professor, published author, and educational researcher. She is the president and CEO of Wren's Research and Consulting, LLC an educational consulting company that focuses on continuous school improvement. She is a member of the Michigan Quality Council Board of Examiners who is responsible for assessing, recognizing, and ultimately awarding the Michigan Quality Leadership Award that is the highest recognition of performance excellence in the State of Michigan. 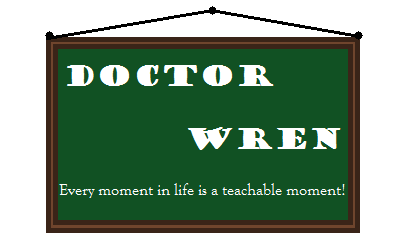 Additionally, Dr. Wren is the owner of www.doctorwren.com. Doctorwren.com is devoted to becoming the central location for all things education. Richard Kincaid, a classically trained Chicago-based singer and former businessman who founded the BeCause Foundation, a not for profit organization that combines documentary films and outreach campaigns to start and strengthen social movements joins the show. Why did you decide found the BeCause Foundation? How did BeCause get involved with the Bully movie? What are your thoughts on the controversy over the R rating? How do you believe we can help end bullying among children in America? BeCause is also involved in helping set up "121.Help me"- what is it? I understand you're also a rising music artist on the FMQB charts- tell me a little about that! Richard Kincaid is a classically trained Chicago-based singer and former businessman and CEO of Equity Office Properties Trust, the nation’s largest publicly traded office real estate company. 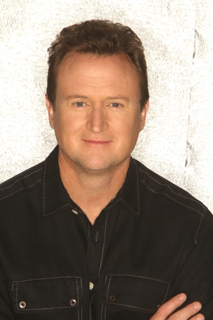 After having put aside his singing dreams for a long time, Kincaid recently decided to follow his passion and pursue music full time, currently promoting his latest single, "Ain't No Sunshine", a powerful cover of the Bill Whithers classic, which has recently reached the #15 position on the FMQB Hot AC Charts. But, as he set about to finally fulfill his long set aside creative dreams, Kincaid, struck by the altruism of folks he met in the non-profit world, embraced his philanthropic side and founded the BeCause Foundation, a not for profit organization that combines documentary films and outreach campaigns to start and strengthen social movements. The documentaries the organization makes tackle such hot button issues as homelessness and healthcare, human rights in East Burma and sexual abuse of children. Patrick Dati who has now broken his silence and has written a memoir about the abuse and bullying he endured from an older brother throughout his childhood and adult life joins the show. When you were 9 years old, what happened in the department store? What happened when you got home? When you experienced physical abuse by your brother, what did your parents do to intervene? Do you think the violence in your past has had an effect on relationship choices in your adult life? What do you feel new and expecting parents most need to know about what it takes to stop the cycles of family violence? What do you think needs to happen for family violence to be reduced or ended in the United States? As someone who recently has taken on advocacy, what does this work mean to you, in your recovery? In living to please others, Patrick married twice and today is the proud father of a beautiful and loving 16 year old daughter. Recently, he met a man he loves and is now sharing his life with his partner. Now an advocate for several organizations devoted to preventing childhood abuse and bullying. Available as a public speaker to help victims of abuse and bullying. Patrick graduated with a BA in Broadcast Communications from Columbia College in Chicago.